Now that the Nokia Booklet 3G has begun shipping in Europe, reviews are coming in as well. Walter S. Mossberg of the Wall Street Journal had the chance to get a hands-on of the Nokia Booklet 3G running Windows 7. Nokia boasts that this netbook's battery will last for 12 hours; after running it through a harsh test with its screen cranked up to the brightest setting, Wi-Fi on, music playing on a continuous loop and all power-saving features turned off, it ran for almost eight hours straight. This means that under normal circumstances, the battery might last for a remarkable 10 hours. The Booklet 3G that I used differs from Nokia's final release version in a few ways: Mine wasn't loaded with AT&T's Connection Manager software, which enables switching between Wi-Fi and 3G; it lacked the Nokia Social Hub software, which the company says allows users to track social-media feeds and text messages; and the GPS wasn't yet connected to the U.S. map data server. My Booklet 3G included Ovi Suite, a Nokia-designed software program to bridge the connection between some Nokia smartphones and the Booklet 3G, like iTunes for the iPhone or BlackBerry's Desktop Manager. But the software I had wasn't the final version. Read the complete Nokia Booklet 3G review here. Lenovo revealed on Monday its Windows 7-powered lineup of IdeaPad netbooks and laptops -- the 11.6-inch IdeaPad U150, the 15.6-inch U550 and the 15.6-inch IdeaPad Y550P. The Lenovo IdeaPad Y550P is the most powerful laptop in Lenovo’s consumer portfolio and is its first notebook to offer new Intel Core i7 processors. In addition to that comes NVIDIA discrete graphics, a 15.6-inch HD widescreen display, Dolby Home Theater surround sound, and a “SlideNav” touch-sensitive bar above the keyboard for quick tasks. It will be available soon for $1,149. 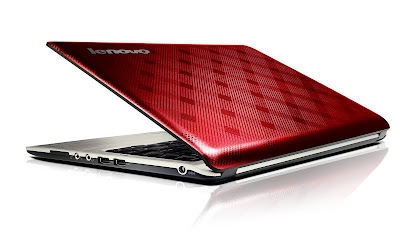 The Lenovo IdeaPad U150, built for portability, is only 0.53 in. thick and weighs less than 3 lbs. Inside comes an Intel Core 2 Duo processor, support for up to 8GB DDR3 memory, 11.6-inch HD widescreen display and lengthy battery life. It’s got the company’s Active Protection System for hard drive shock protection and the OneKey Rescue System for faster data backups and antivirus scans. It will be available soon for $585. The Lenovo IdeaPad U550 is an ultraportable that’s supposed to straddle home and work lives. It’s 0.94 in. thick and sports a 15.6-inch wide HD widescreen display, Intel Core 2 Duo processor, switchable discrete graphics, Dolby Sound Room surround sound, ambient light sensor, DVD drive, integrated fingerprint reader and VeriFace facial recognition software. It will be available for $650. 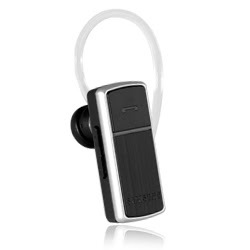 From $40 to $20 -- the Samsung WEP470 Bluetooth Headset is offered with 50% discount on Amazon Store. The Samsung WEP470 is the perfect headset for those budget conscious users who don’t want to compromise on performance. It provides crystal clear conversations on par with many dual microphone headsets through an algorithmic process that eliminates unwanted background noise and allows the non-Bluetooth user to receive crisp, clean voice audio, even in high-noise environments. This advanced, yet cost effective technology makes the WEP470 one of the world’s best values in noise canceling headsets on the market. - Access to BlackBerry App World(TM), featuring a broad and growing catalog of mobile applications developed specifically for BlackBerry smartphones. Categories include games, entertainment, IM and social networking, news, weather, productivity and more. Price: AT&T the 9700 will be out in the "coming weeks" for $199 after $100 mail-in rebate. 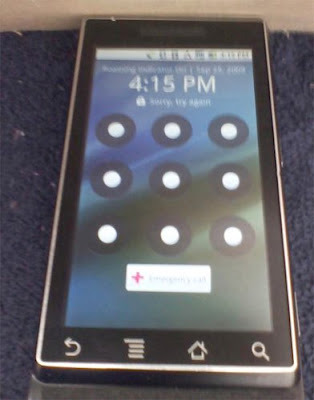 Verizon Droid Phone is said to be iPhone's killer. Its latest video ad "Droid does" attacks the iPhone by making it look very bad. 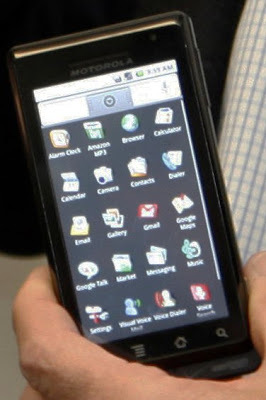 Verizon's Motorola Droid Android smartphone will be released on October 30,2009. There are some pictures appearing online of how the Droid looks like. 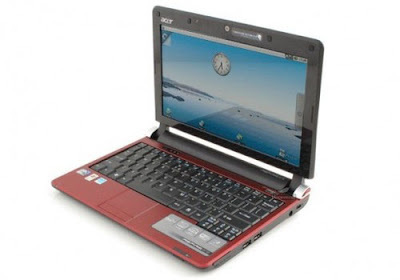 The new Acer Aspire One 10.1 netbook that dual boots in Android OS and Windows XP operating system is now unveiled. The special dual-boot feature allows users to switch between Windows XP and Google's Android platform, with the Android OS features Instant On feature that connects user to Internet within fraction of seconds. Toshiba Mini NB205-N312/BL is our Netbook Deal of the day. 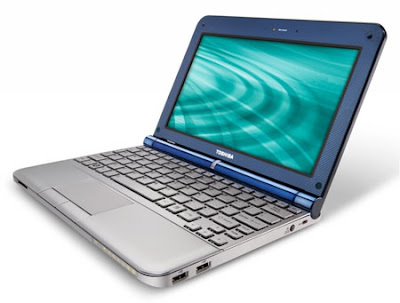 The 10.1-inch royal blue netbook, the Toshiba Mini NB205-N312/BL, has a 9-hour battery life. Check it out at Amazon Store for $50 less. The price is $349.99. It is not yet announced by Lenovo that the company is releasing an 11.6 inch netbook, but the Lenovo IdeaPad U150 user manual is now available. 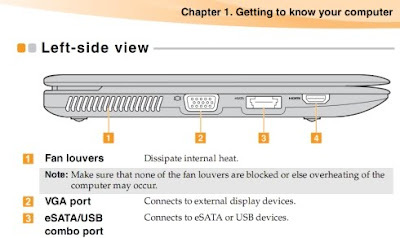 You can access the Lenovo IdeaPad U150 UserGuide here. It is a pdf file (4.84 MB). Kohjinsha will release a unique netbook. The 10.1 inch netbook will consist of two screens. 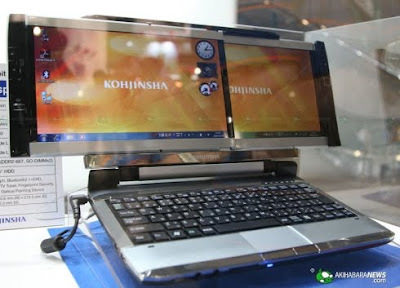 According to reports, Kohjinsha's new dual screen laptop will cost less than $800 when it comes out in the market.